Austin is one of those places you visit and never want to leave. Which is why our students love living here so much! Our student population at AOMA comes from diverse backgrounds and locations, from places all across the country and overseas. While they’re here, when they are able to take a break from studying, they venture out and take in the beautiful city of Austin, a place with plenty to do and see! This local coffee shop, owned and operated by the same owners as neighboring San Jose Hotel, boasts a piece of the city’s most iconic street art. When you scroll through photos of Austin on social media, you’ll likely see couples and bff’s standing next to the “I love you so much” - street graffiti turned photo backdrop! Jo’s Coffee brings together the South Congress neighborhood for good coffee, food and often Live Music. 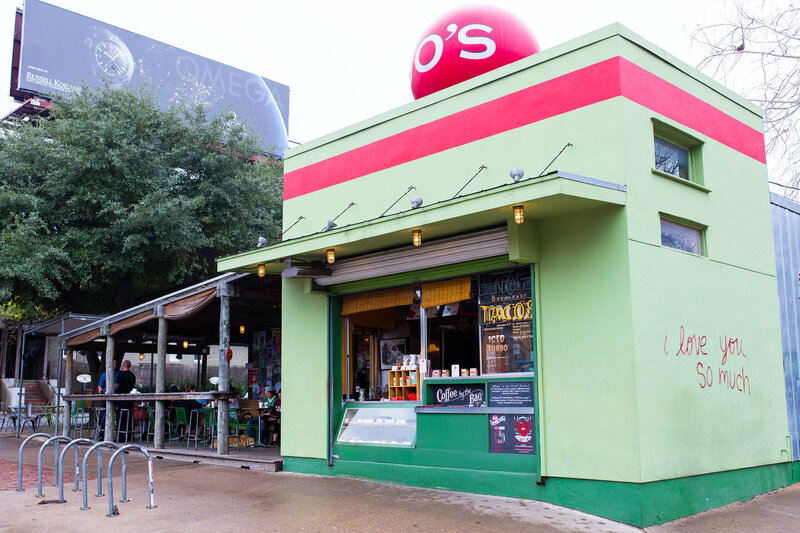 Grab a cup of Jo’s coffee and explore the shops and sights of South Congress Avenue or downtown at their 2nd Street District location - two of South Austin’s most famous local shopping districts. They say one man’s junk is another man’s treasure. 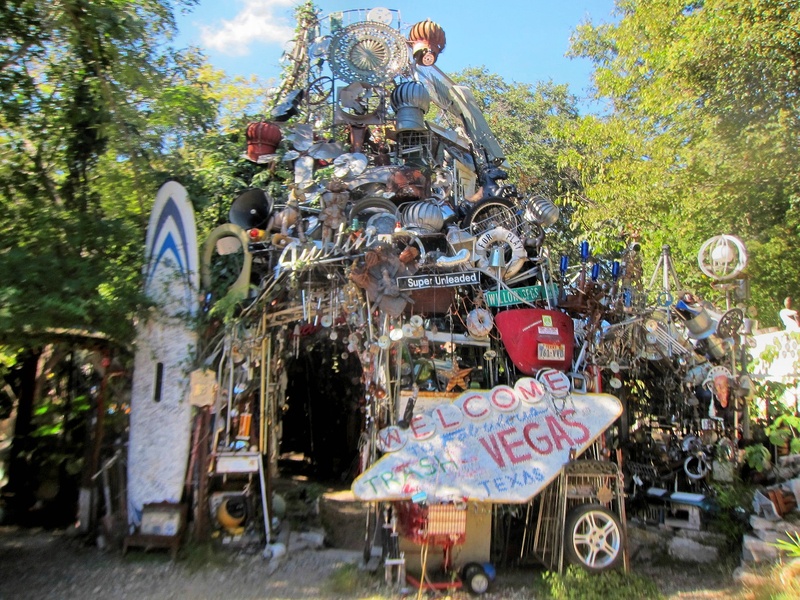 This couldn’t be more apparent than Austin’s Cathedral of Junk, where junk is overtly displayed as art! Vince Hannemann started building his cathedral in 1988. It’s been a slow growing pile of junk that Vince has turned into his own masterpiece, constantly changing and growing over the years. Tours are allowed but by appointment only - so you better call ahead! 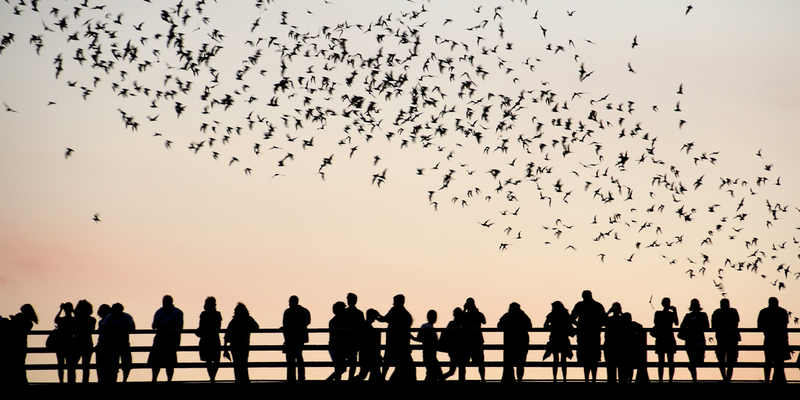 One of Austin’s most popular tourist attractions is watching the bats from the South Congress bridge. These bats come out to feed just before sunset from underneath the South Congress Avenue bridge, which crosses Lady Bird Lake. Enjoy a vantage point from the bridge, the lawn of the Austin American Statesman, or even consider an evening of bat-seeing on a boat ride with the Lone Star Riverboat. Make sure to check the season before you go out there - the bats are only here over the summer months before they travel to South America. For more information, check out: http://www.batsinaustin.com. 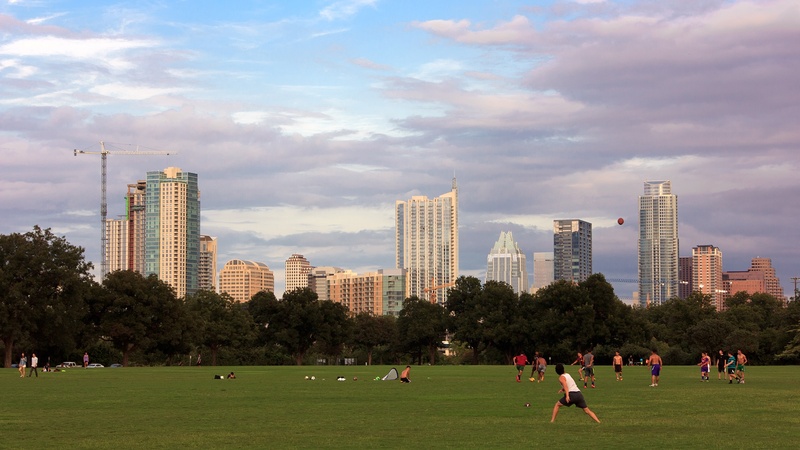 Zilker park is considered the “most-loved” park in Austin. This 350-acre park is perfect for a picnic, a place to take the dogs off leash or hang out and practice yoga with friends! Zilker park connects to the urban Lady Bird Butler Trails Hike and Bike Trail, an 11-mile trail that circles around the city. Also within Zilker you’ll find Barton Springs pool - an Austin iconic spring-fed natural pool, as well as the trailhead to the Barton Creek greenbelt which winds and stretches several miles north into the Barton hills and Westlake neighborhoods. Also home to many iconic Austin festivals such as Austin City Limits, ABC Kite Festival, as well as the annual Trail of Lights and Zilker Christmas Tree lighting, Zilker offers relaxation and recreation with a beautiful view of our downtown skyline. When driving on Barton Springs Road, you may notice a large Peter Pan or T-Rex statue popping out above the treeline. 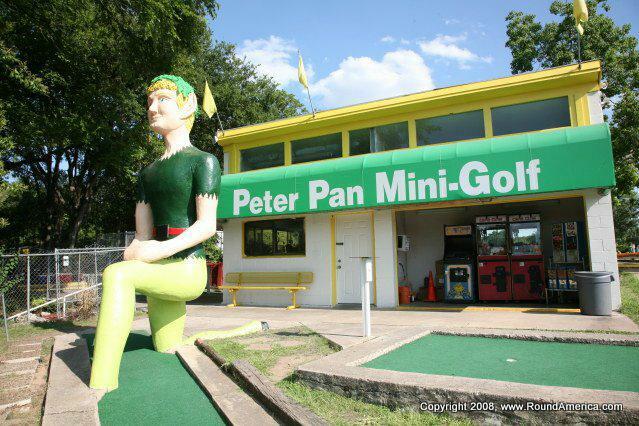 Peter Pan mini golf is a popular spot to spend some time with friends playing a round or two of miniature golf. It’s $7 per person, and BYOB. A local favorite for an inexpensive night on the town. Do you love felines but aren’t ready for one at home? 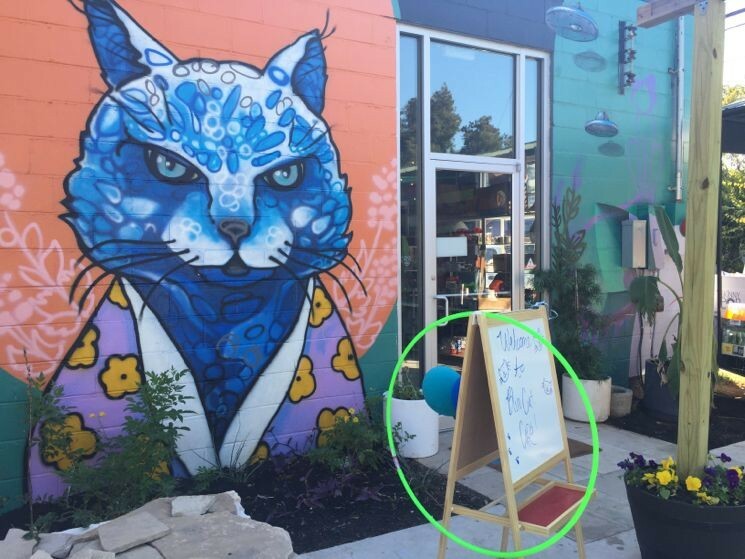 Blue Cat Cafe allows you to dine with your furry friends. What’s even better is they allow you to adopt any cats you can’t go home without. With a $5 entry fee, you can spend your day petting sweet cats and enjoying good food. Let’s face it - Austin may be a big city, but we’re still in Texas. And that means there’s bound to be a lot of country music going on. Austin has a thriving bluegrass, blues, country and folk scene. 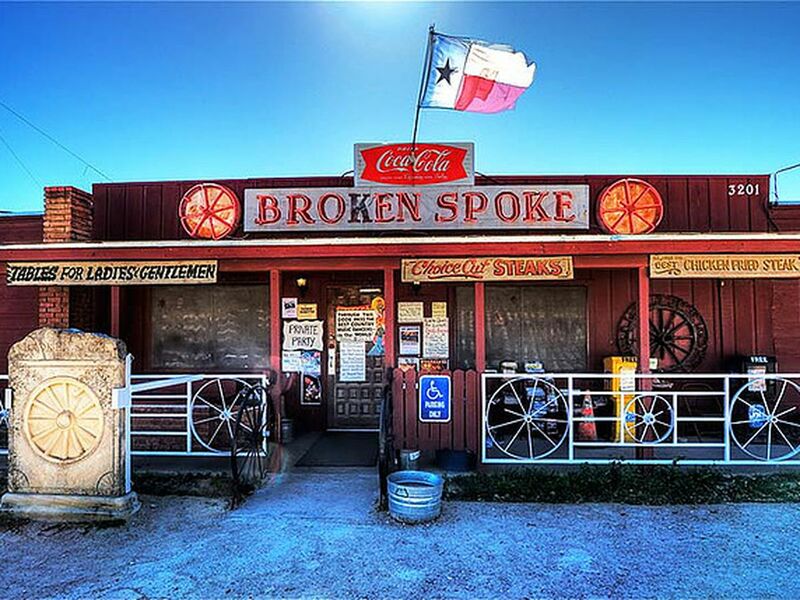 One of Austin’s most famous venues for Country Western music is the long-established Broken Spoke, where many famous country stars have performed, including Willie Nelson, Garth Brooks, Joe Ely, and Dale Watson. Get yourself some boots and enjoy two-stepping at this local honky-tonk! Austin is home to the dine-in movie theatre experience. It all started with one movie theatre and a couple with a vision to change how we experience going out to see a movie. 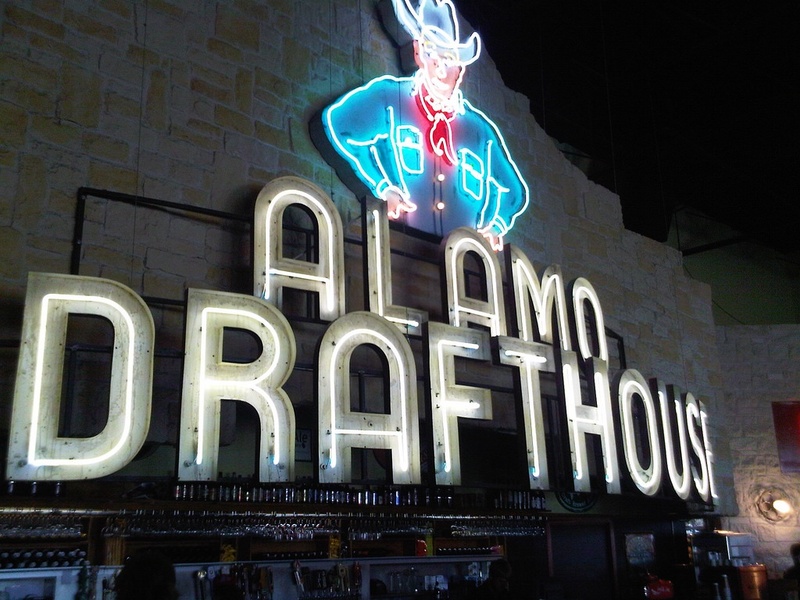 Austin is home to Alamo Drafthouse, now becoming popular nationwide. Not only can you enjoy a tasty menu and drinks while you enjoy the picture, but they also host special events including singalongs to your favorite musical films! With private viewing parties and dressing up as characters for movie nights, it’s a one of a kind experience you don’t want to miss! Want to enjoy the most relaxing activity in Austin? 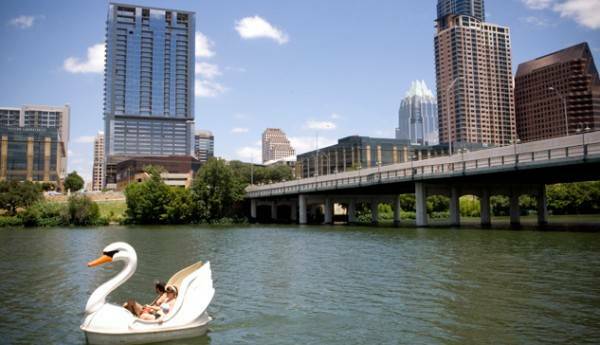 Try out a Swan Pedal Boat on Lake Austin. You won’t have to paddle, the pedals will do all the work! Hosted by Capital Cruises, the swan boats will help you enjoy Lady Bird Lake while also looking like a regal swan floating along the water. Covered swans are also available for those hot summer days! Find out more at: www.CapitalCruises.com. 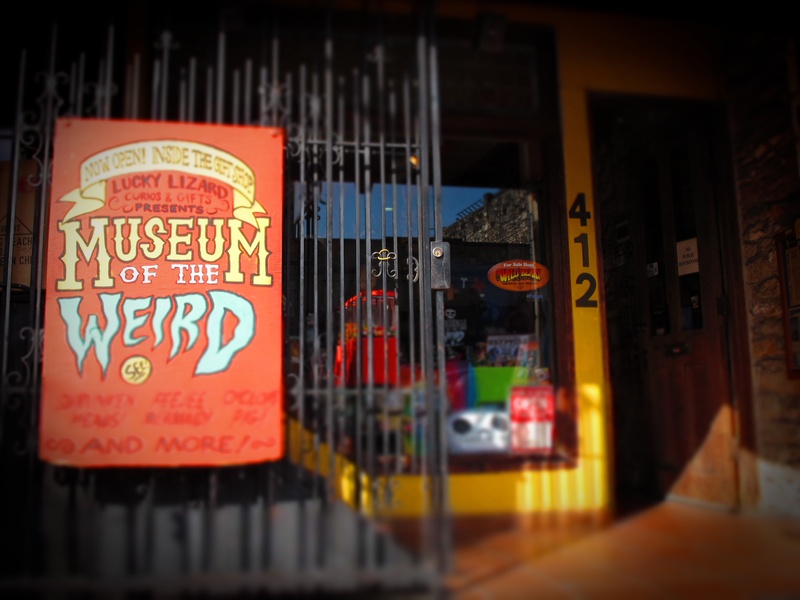 No city of self-proclaimed weirdness would be complete without a Museum of the Weird! Self-described as “America’s Strangest Attraction”, the museum features life-size wax figures, real mummies, and even shrunken heads! The Museum of the Weird might be the most literal reflection of “Keep Austin Weird”, and it’s sure to entertain. Tip: While you’re there. explore the rest of 6th street - a dense concentration of live music, food, and drinks that help put Austin on the map as the “Live Music Capital of the World”. We hope you enjoy our city while you’re here! Want to see more to do in Austin? Download our Guide to Austin! While you're in town, come see us for an acupuncture visit!